Most people see construction as not being a cheap skill. Seeing it is easy to spend over 150 million on getting to level 99. In this guide I will show you three main ways to get from level 1 to level 99 and how much money it will cost you to get there. 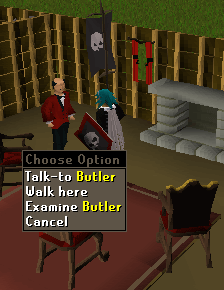 If you are making your own planks from logs hire the butler at level 40 for 5,000gp. 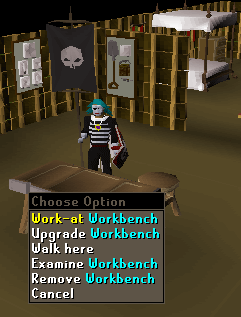 After awhile he will ask for another 5,000gp to make him keep working, pay him as it will save major time rather than running to the sawmill. Build your workshop next to your portal to get to your workbench quickly. If you want to get fast teaks and mahogany logs move your house to Brimhaven (level 40 construction required). If you want to get to your bank the fastest move your house to Yanille (level 50 construction required). Levels 1 to 16: Buy 500 iron nails and 100 planks then make crude wooden chairs. Level 16: Build a Workshop for 10k. Levels 16 to 32: Buy 230 oak planks (no nails needed from this point on) and build pluming stands. Level 32: Build an oak workbench (5 oak planks). Levels 32 to 38: Build carved oak tables at your work bench. You will need around 235 oak planks. Levels 38 to 46: Build teak tables, at your workbench, which you will need around 420 teak planks. Level 46: Build a steel framed workbench (6 oak planks and 4 steel bars). Levels 46 to 52: Build carved teak tables at your steel framed workbench. You will use around 620 teak planks and 416 cloths. Levels 52 to 99: Build mahogany tables at your steel framed workbench. You will use 92,140 mahogany planks. Level 99: Go build your house. Levels 16 to 32: Buy 230 oak planks(no nails needed from this point on) and build pluming stands. Levels 32 to 99: Build carved oak tables at your work bench. You will need around 217,000 oak planks. Levels 16 to 33: Buy 260 oak planks (no nails needed from this point on) and build pluming stands. Levels 33 to 99: Build limestone fireplaces until you go crazy or get level 99. This will take around 650,800 limestone bricks. Limestone can be mined just west of the Morytania Temple. Mining a limestone gives 26.5 exp and 6 exp when crafted into a brick. 1. 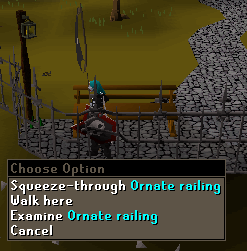 First, Walk or run from Varrock to the mine and back again (no requirements). 2. Second, Walk or run from the Canifis bank through the underground temple and to the mine and back again, same speed as Varrock way (Priest in Peril Quest required). 3. 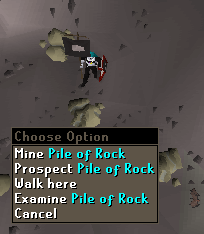 Third, Walk or run to the mine then either Ancient Magicks (Desert Treasure Quest required) teleport to Canifis and/or use the agility short cut (65 Agility required, agility potions do not work) to get to the Canifis bank and back again.